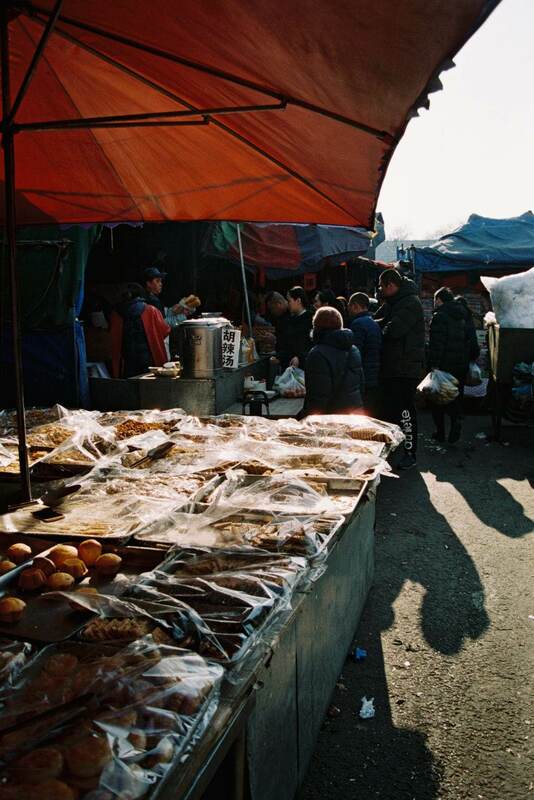 Hannah Davies weaves insight and reflections on living in the Chinese capital of Beijing. Articulate thoughts complimented by honest street photography, a must read. Have you ever found yourself suddenly jolted into a vivid present, wondering how on earth you ended up there? That’s how I felt on my first night in Beijing, walking home alone to my apartment, realising that this was me for the next three months. Yes, I bought the ticket and yes, I got on the plane – but why did I leave the safety and security of my home for a world of unknowns? 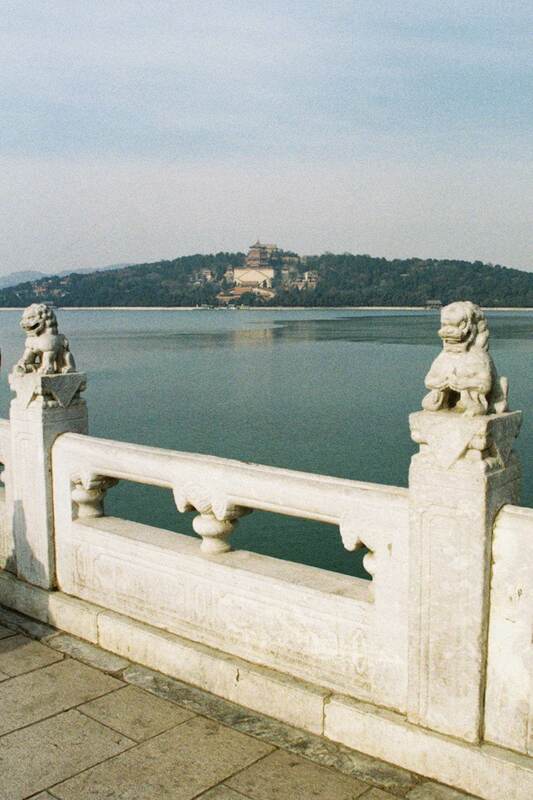 My parents believed I was going to Beijing to intern, I believed I was going to travel, but why I really decided to go is hard to express. In fact, I can’t articulate the reasoning behind half of my decisions. 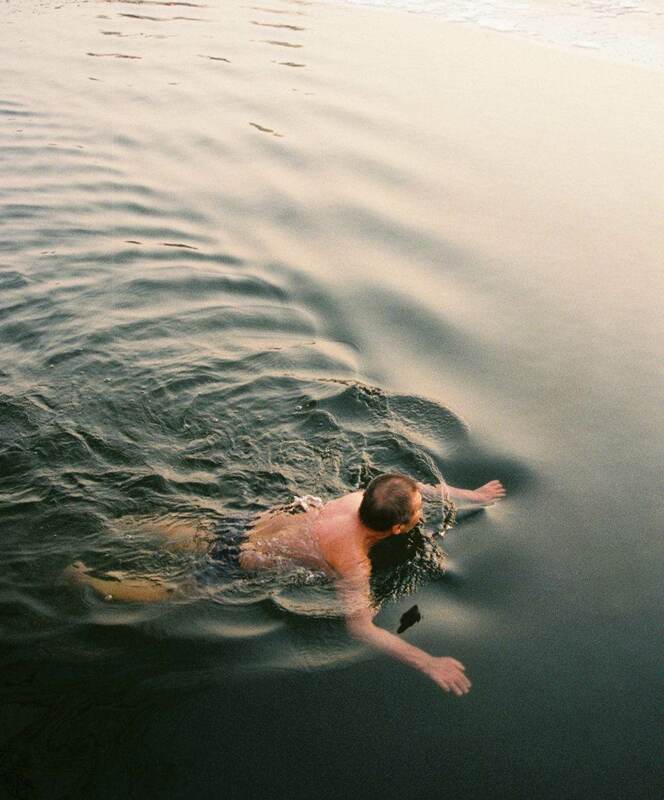 I don’t want to – for those of you who feel similarly know, that the why is beyond words. We just go, we do, we see. We book the ticket and figure out the rest when we get there. But we book the ticket with our hearts, not our heads. We feel, rather than think, our plans into being, because we know there’s something out there for us. Endless opportunities await those who are open to receiving them. I’m not saying we have to travel to the other side of the world in order to grow – but it often helps. In Australia, I struggled to take photos for the silly fear that people might see me, judge me, and then communicate that judgement to me. 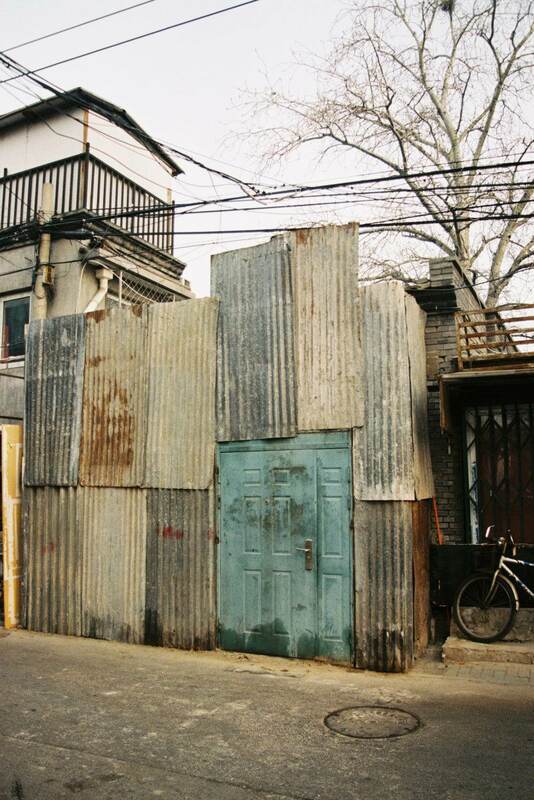 In Beijing, fear fell away and things became simpler, because the size of the city afforded me anonymity. In Beijing, things became quieter, because the conversations taking place in Mandarin around me faded into the background. 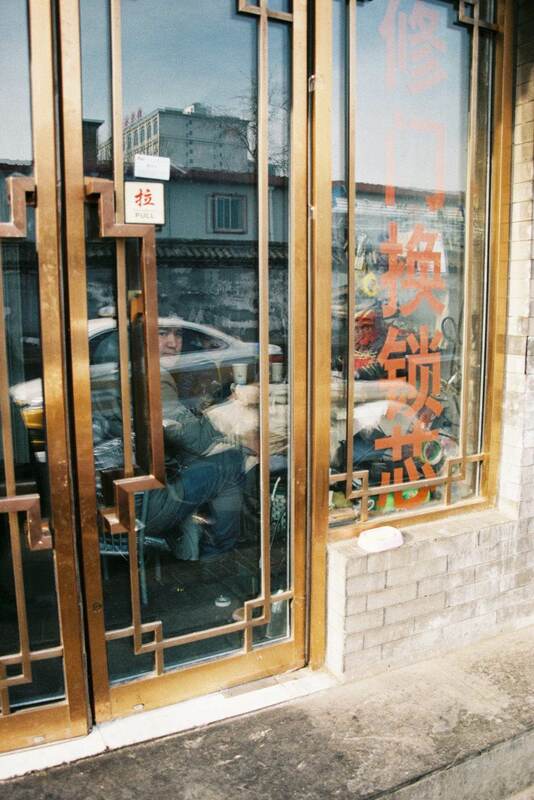 In Beijing, taking photos became easier, because I settled into existing in a place of quiet within. 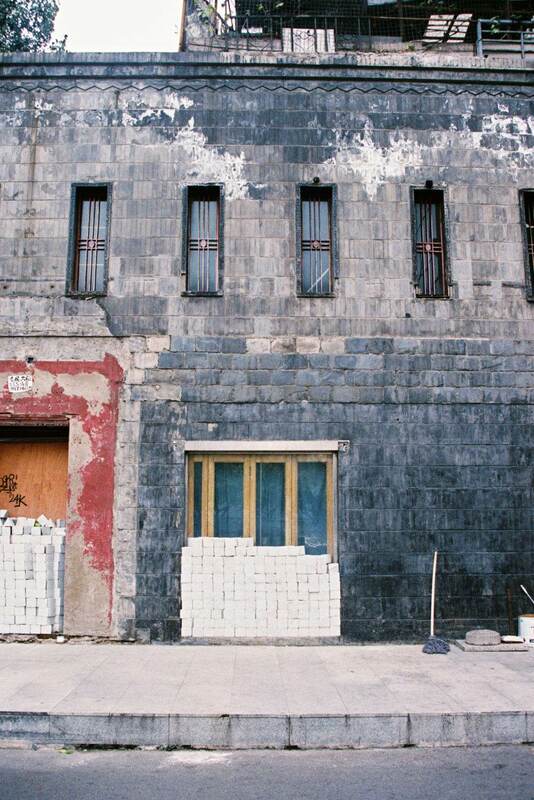 From this place of stillness I planned my days and found myself returning time and time again to the hutongs. 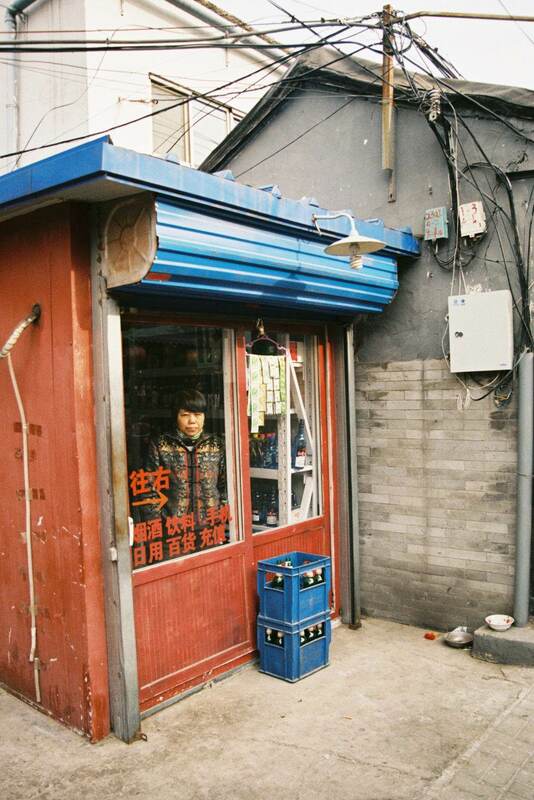 As cliché as it is you can’t go to Beijing without wandering through the myriad lanes that define the city. 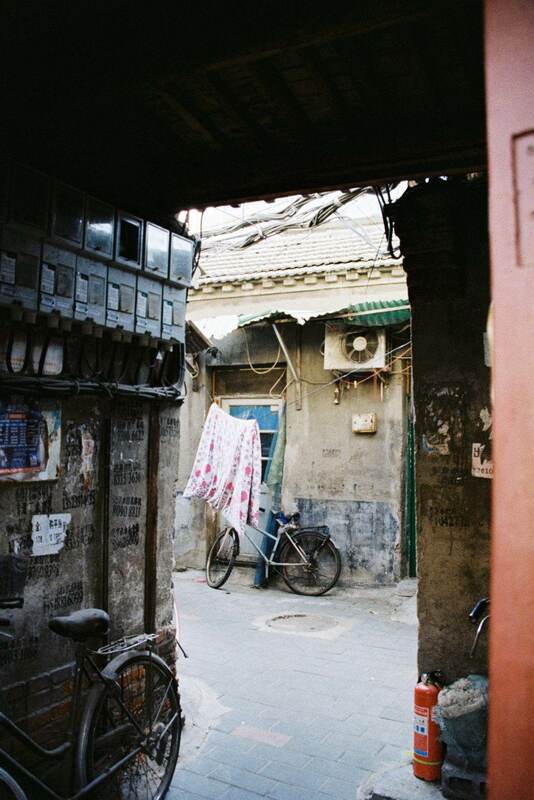 Despite being touristy in places, Gulou was one of my favourites. After a lunchtime burrito at Palms L.A. I’d drop off rolls and eye off second-hand cameras at Spring Cameras, bike around for a few hours, then sip delicious cocktails at Café Zarah and end the day with late night dumplings or jianbing. 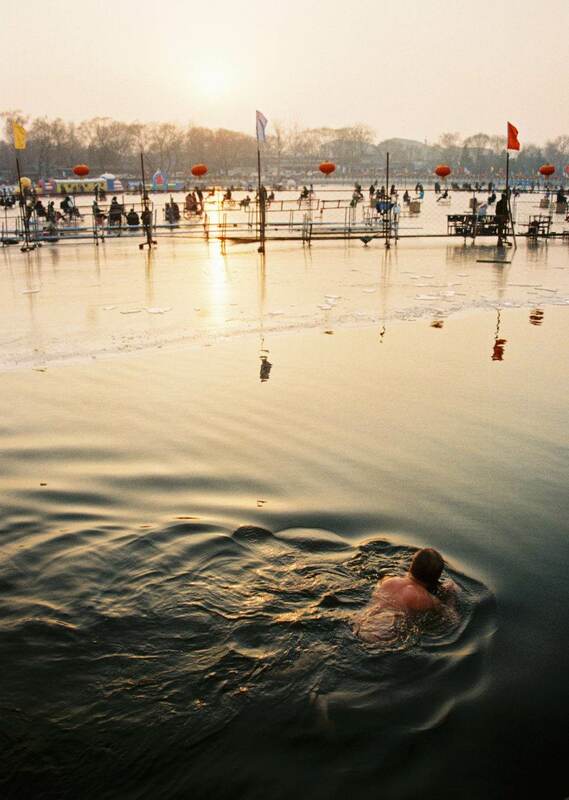 Some weekends I’d visit nearby Houhai – popular for ice-skating and ice swimming – and also home to the East Shore Live Jazz Café. One night I walked up the Café’s stairs to find the most beautiful Erhu performance taking place. I found ecstasy in each scene my eyes fell upon, knowing that what I was seeing wouldn’t stay that way for long. Beijing exists in constant flux – all cities do – but the speed and gusto with which it changes is swift and scarily callous. Within the first few weeks I was there an apartment building on the outskirts of the city caught fire. A few people lost their lives and, on the basis of the buildings being unsafe, officials then instigated a 40-day clean up campaign. In the days that followed, thousands of migrants had their homes bulldozed to piles of rubble in the space of a few hours. I didn’t photograph these demolitions because I couldn’t muster the courage to go poking my camera in places the police clearly didn’t want it, but in my own quiet and reserved way I could photograph the deterioration I saw in my weekend wanderings. 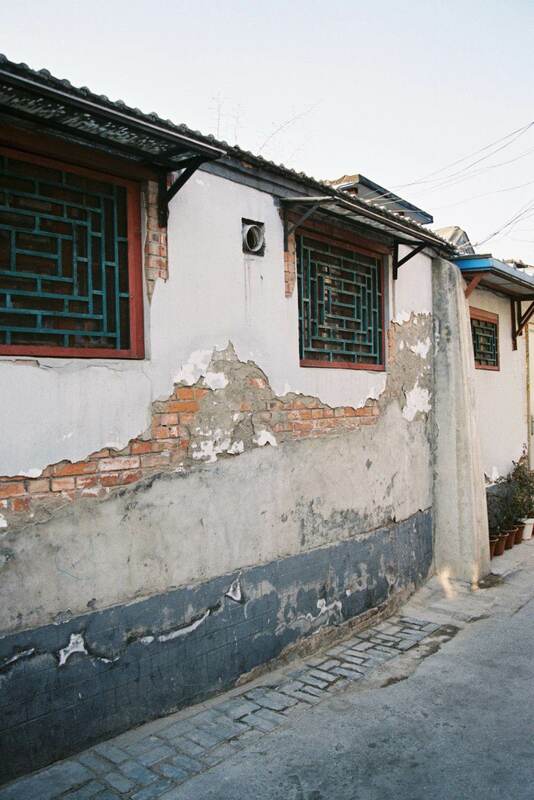 In the centre of Beijing, bricked doorways exist where once crowds bustled outside bars and restaurants late into the night. What will become of these places? They’ll be made into a glossy façade of what they used to be. China’s obsession with image infiltrates every aspect of life and in my search for authenticity I found myself drawn, as always, to decay. But with the efficiency of a one party system – where Xi Jinping’s instructions are carried out almost instantaneously – decay doesn’t last long. 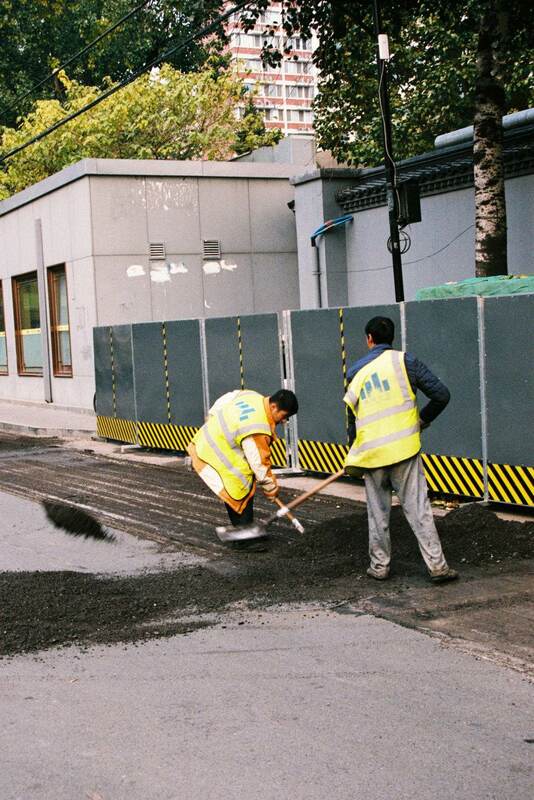 While I was there almost every apartment building in the three blocks surrounding mine received a new coat of paint, thousands of new ride sharing bikes appeared on pavements and the road outside my apartment was torn up and made anew in a night. Beijing aspires to be, and is on its way to becoming, a modern metropolis, but for now old and new exist alongside each other. 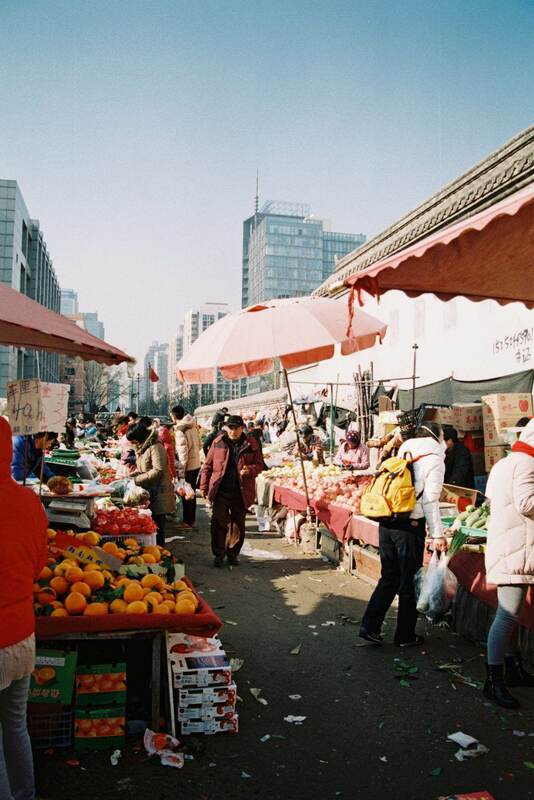 Sunday markets are held in inner-city Chaoyang– albeit hidden from the street by high concrete walls. In Sanlitun, the sidewalks outside designer fashion stores are still swept with brooms fashioned from bamboo. 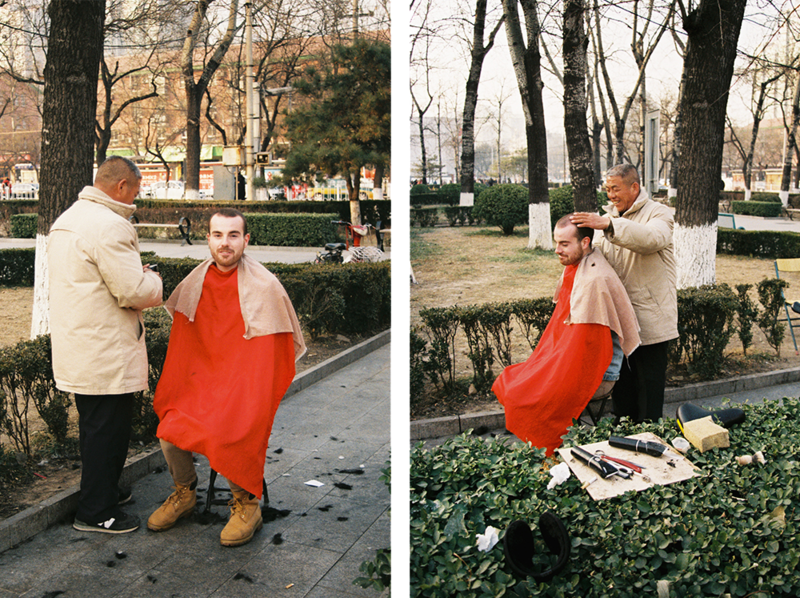 A few blocks away men cut hair on the sidewalk for a couple of dollars. In a way I can sympathise with Beijing and with its people, some of whom, in the passing of a few decades, have acquired lives, cars and careers their relatives couldn’t have dreamed of. I too want new and seemingly better things. I want to travel as widely and live as fully as I can, but I don’t want to do so at the expense of the world, or my life. Perhaps that’s why I’ve stuck with the one camera for the past five years. My trusty Pentax stills fleeting seconds of my life and that’s all I need it to do, because I have a body with which to feel the rest. Feeling unites us as human beings – it is always important – and it becomes more obviously so when we find ourselves without words. Without the means to communicate verbally, I settled in to feeling my way around the city. As I did so I came to feel my way into interactions with people too. I know a little Japanese and when I told Yin, “some Chinese characters are similar to Japanese,” he quickly corrected me, saying, “No, some Japanese is similar to Chinese.” Though factually true, the sharpness of his remark came across as overtly chauvinistic. Without judging his words, however, I could feel him struggling for his place in the world, asserting his right to be there, in a city and a country that imbues this way of being from birth. If Beijing demands a battle for a life – then what does one cost? The life of one tiny, greying woman costs her the task of sweeping cigarette butts and drinks off the floor of a club at 3am, techno reverberating off its concrete walls. This club exists underground and is filled with the choking haze of tobacco smoke. Does this woman live underground too? 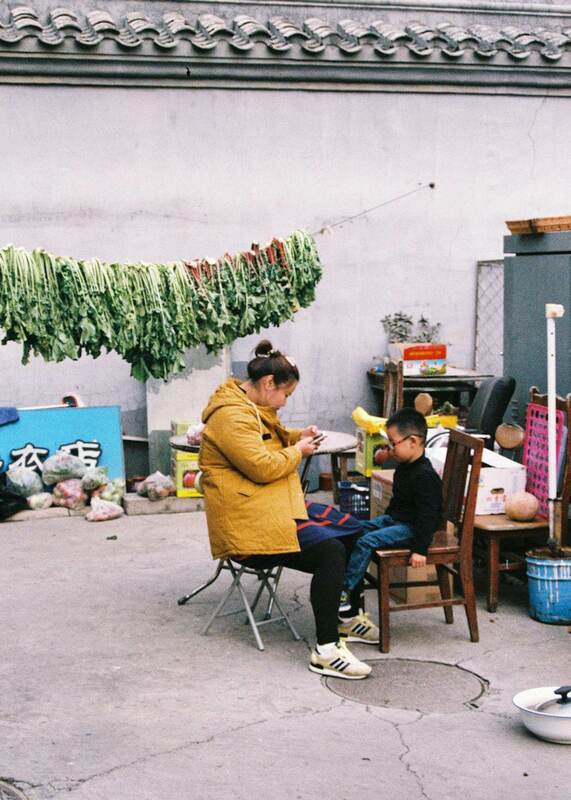 Because more than a million of Beijing’s residents do – in old nuclear bunkers – come from the countryside in search of better lives. I left the club and went home to my apartment, a twenty-minute bike ride away, carrying with me an uneasy awareness of the ease with which I have always lived. Privilege is unsettling because it’s a result of something entirely out of our control. What we can control, however, is our awareness of it. Travel – real travel – where we truly experience what is going on around us – expands our awareness. China helped me to see my own life in the context of others’ – How could people continue to drink and dance around that woman? How can a country pursue profit at such an astounding human and environmental cost, I wondered. Complacency probably has something to do with it. You tend not to be shocked by something if it’s all you’ve ever known. All I’ve ever known is clean drinking water from the tap and blue skies. Getting used to the fact that Beijing’s tap water is filled with heavy metals and getting used to the smog took time, but things like this aren’t something I ever want to get used to. 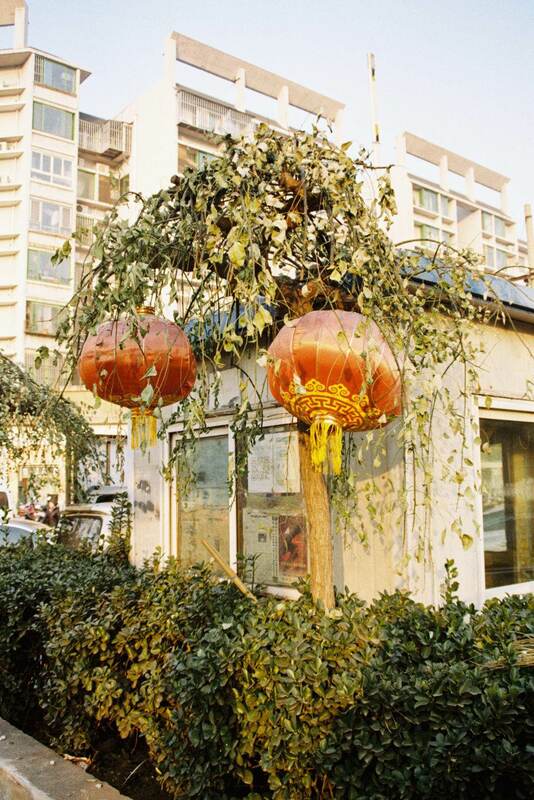 “We have many old trees in the hutongs,” Yin told me, “this one here is maybe thirty years old.” My eyes widened in shock, memories of Aotearoa’s 2,000 year old Tāne Mahuta fresh in my mind. Travel is a vantage point from which we can see things around us clearly. 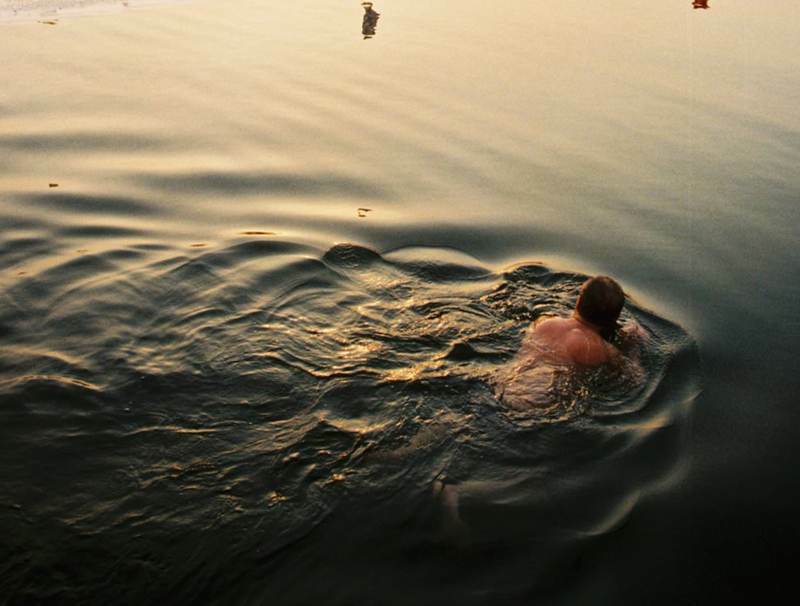 By truly immersing ourselves in our new surroundings, we peel back yet another layer of miasma that separates us from our surroundings – and from each other. As our horizons broaden and our routines change, we enable ourselves the opportunity to return home to places that are refreshingly unfamiliar. Just as Beijing was wonderfully perplexing when I first arrived, so too was Australia when I returned. 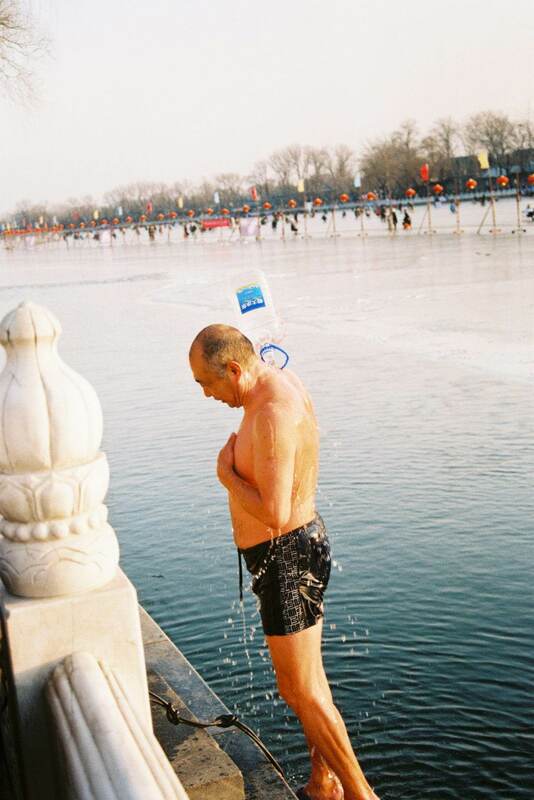 When people ask me if I enjoyed Beijing I tell them yes, I loved it, but I loved it even more so because I knew my time there was finite. The knowledge that our travels will come to an end make everyday moments so magical, but it’s the ability to lend this quality to our lives when we return home that is so valuable. Our time on this planet, wherever we may be spending it, is inarguably finite and every single second is a gift. 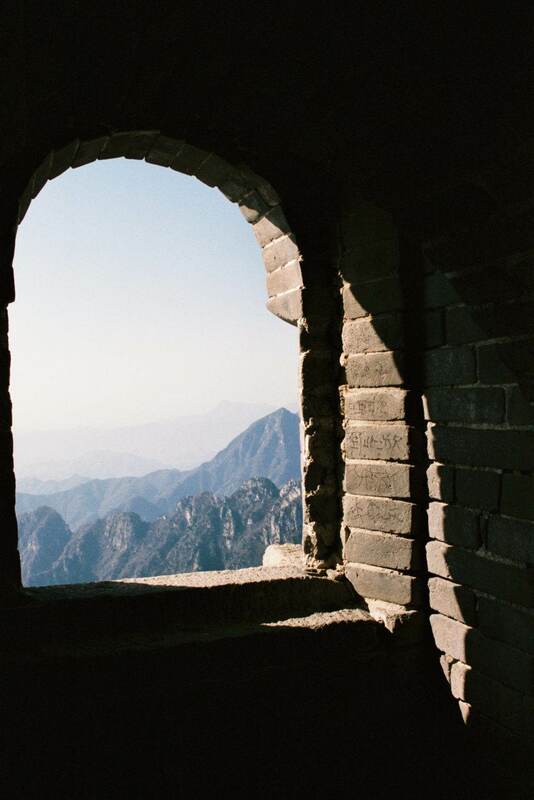 Beijing, for me, was a chance to exist apart from any pre-existing tangible sense of self and dive deep into the unknown. Each new day was an opportunity to detach from the chaos and pause to appreciate the present. Every moment enabled me to surrender further to feeling. What I got in return were a whole bunch of sweet, sweet synchronicities, a deeper understanding of the world and its people, and a new found appreciation for home. I suppose that’s why I went. 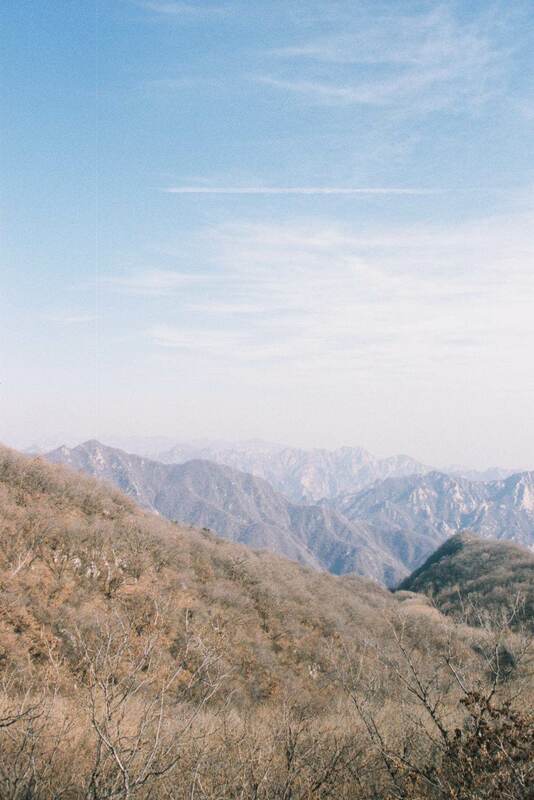 Hannah shot this series on a Pentax MZ-60 her dad bought off Gumtree for her many moons ago. It’s another in the collection of 35mm cameras Hannah has been shooting on since grade five. 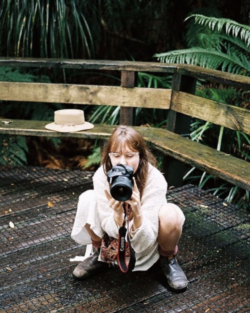 Inspired to keep seeking new challenges, experiences, ideas and vistas Hannah chases the experiences that surround the making of great photos. All the while working as the Fundraiser and Events Co-Ordinator for RACQ CQ Rescue team in Mackay. Hannah finds inspiration in the work of the talented Sarah Pannell, Paul John Nelson, Kres and myself (editor’s note: Merci Hannah, take note future submitters). She also lists @asoftcollective – a group of curators dedicated to celebrating the talent of women shooting film in Australia. Hannah clearly has oodles of talent in both photography and the written word, thank you for your words and photographs Hannah. I hope you all enjoy reading this as much as we did here at Gobe.